Science Fiction, Science Fact! 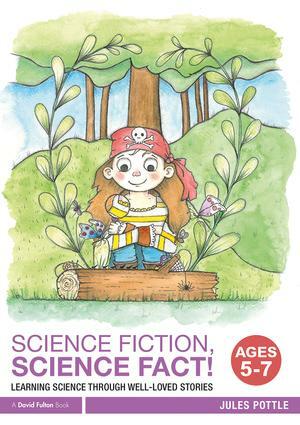 Ages 5–7 is a book for story-loving primary teachers who want to find a creative way to teach science. Science Fiction, Science Fact! Ages 5–7 is a book for story-loving primary teachers who want to find a creative way to teach science. Contextualising science in a story that pupils know and love, the book contains a wide range of activities and investigations to help Key Stage 1 pupils engage in science learning, while also extending aspects of the English national curriculum. Science Fiction, Science Fact! Ages 5-7 is packed full of ideas for weaving science into cross-curricular lessons, and is an invigorating and essential resource for Key Stage 1 teachers and science co-ordinators seeking to inject some creativity into their science lessons. Jules Pottle is a primary science specialist teacher with experience teaching in primary schools for over twenty years, and a trainer for Storytelling Schools, UK. She won the Primary Science Teaching Trust’s Primary Science Teacher of the Year in 2015.